You Have Options at Volkswagen of Garden Grove! Are You Currently Leasing a Volkswagen? Regardless of where you originally leased your Volkswagen, if you use Volkswagen Credit, Inc., you can return your Volkswagen to our Orange County Volkswagen dealership at lease end. If you still have a few months before your lease is up, contact us and we can discuss options for ending your lease early. - Trade your VW lease and get into a new VW. - Refinance or purchase your current VW lease. - Let Volkswagen of Garden Grove Buy-Out Your Volkswagen Lease. If you are looking for options on what is the best scenario as you approach the end of your lease, set up a no-obligation consultation regarding your lease-end options. Contact one of our Lease Return Specialists at 888-415-8921 and we will be happy to assist you! The inspection is completed by AIM, VW Credit's independent lease inspection company. To schedule, call 800-340-4080. We recommend that you contact AIM 3-4 weeks in advance of your lease termination. If you are too close to the lease-end date, skip straight to step 2 below. 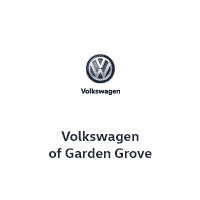 Volkswagen of Garden Grove will coordinate your vehicle return. Call 714-590-4000, and ask for any one of our Sales Managers. - All vehicle keys (including valet key). - Navigation Disk (if applicable). - Any other accessories listed on the lease contract. - This process will take about 15 minutes. - You will receive a copy of the lease return form with the details and a date of return. You can return your leased Volkswagen to Volkswagen of Garden Grove regardless of where you originally took delivery. To make the process smooth and efficient, follow the three steps above to complete the transaction. Should I Return My Lease Early? - Your circumstances may have changed. Instead of a compact Jetta or Passat, your lifestyle may require something with more space like an Atlas or Tiguan. - You are looking for smaller monthly VW lease payments, sometimes returning your lease allows you to take advantage of new incentives that previously weren't available. - You no longer want to lease a VW, but want to own. - You are interested in new technology that has been released in the latest model. - You've drive more miles than you initially anticipated and you're in danger of going over your allowed mileage limit. Meet with our Volkswagen financing team at Volkswagen of Garden Grove to discuss returning your current Volkswagen lease early. If you're ready to move into a new Volkswagen, we'll help you find the model that is perfect for your current budget and lifestyle. No, you can return your lease to Volkswagen of Garden Grove regardless of where you originally leased the vehicle from. You can schedule your Lease-end Inspection with AIM Vehicle Inspection by calling 844-264-9704. The AIM inspection is good for up to 90 days, so we recommend you call to schedule the inspection at lease 3-4 weeks prior to your lease termination date. Usually it is $0.25 per excess mile on most Volkswagen models; however your should refer to our original contract for exact mileage costs and terms agreed upon at the start of the lease. After your inspection, AIM will provide you with an itemized list. If there is a repair that is needed, you can bring it to our Service Department or pay for wear and tear. Yes, there are often programs to assist you in ending your lease early when you lease or purchase a new VW. Contact a sales manager at Volkswagen of Garden Grove, and we will be happy to go over all available programs and discuss your options. "This team surpassed my positive expectations. They were professional, honest, and respectful of my time." Returning a Volkswagen Lease In Southern California? If you are approaching the end of your current lease or you would like to terminate your lease early, our team of VW experts are ready to assist you in every way to make the process as simple as possible. Whether you are looking to purchase or lease a new Volkswagen model, or want to consider other options, we will be happy to work with you and handle all of your needs.